There can be few places in the world more synonymous with beach life, so trust in California hotels to get you that fix of sun, sand and surf. 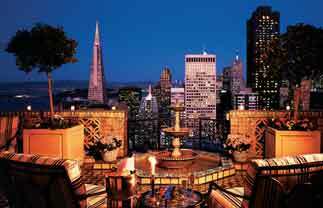 This hotel is located in the heart of the city of San Francisco. It is very close to the main historical attractions of the city. Guests can discover the delights of the streets of China town and the financial district. Centrally located, this luxury San Francisco hotel is just a cable car ride away from Fisherman's Wharf, Chinatown, Union Square, and the Financial District. A comfortable retreat - savour a delicious evening meal in Marty's Bistro or relax in the outdoor pool when you're not hitting the stunning beaches or resting in your elegant guest room. 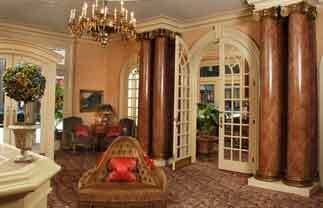 Millennium Biltmore Hotel offers a unique blend of historic grandeur and luxury in the heart of downtown Los Angeles, just steps away from major attractions such as LA Live, the Ahmanson Theatre and Dodger Stadium. There's plenty of choice for you, whether you're thinking of checking into a smaller, more personalised bed & breakfast, of which there are many, or a more extravagant resort, from where you can enjoy the beaches, skiing, or wineries. The iconic Californian beach dream, Malibu is full of locals and not quite so great for tourists, but there are still hotels in the area. If it's plush and pampered you're after though, head to Laguna Beach, a beautiful coastal town in Orange County, where you can find upmarket resorts and hotels close to the local shops and restaurants. If you're headed to the Golden State to spend some time in Los Angeles, be sure to scope out which area you'd like to stay in before booking your hotel.Downtown is fairly cheap and has a good nightlife and restaurants, while Santa Monica is lively yet generally more expensive. Beverly Hills and Hollywood speak for themselves, while West Hollywood is conveniently located between the two, with many places to stay on the famous Sunset Boulevard.